Plain and simple, when you have been doing tiling and leveling as long as we have, you run into far too many homeowners and business owners who have wasted good money being scammed by shoddy craftsmen who forget to level their surfaces or simply can’t calculate the angles. At Expert Touch Tiling, we have made a reputation for perfecting the details, and leveling is an art we take very seriously. 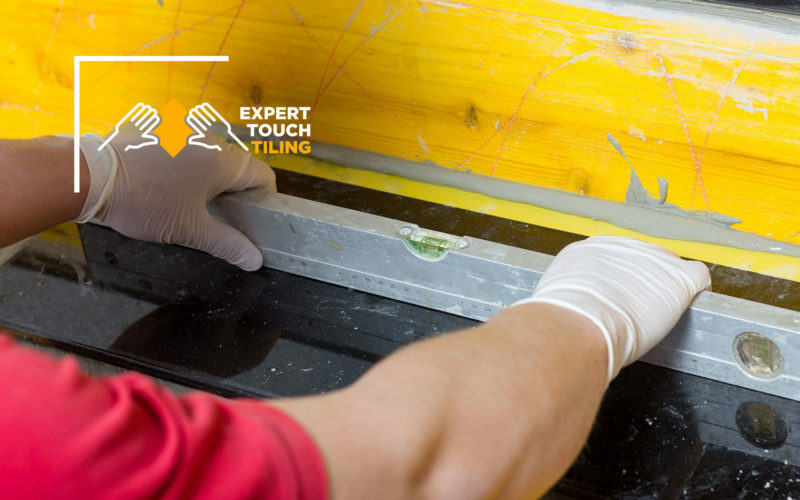 From brand new surfaces to surface leveling repairs, we have the expertise and skill to make sure every surface in your home is spot on to the exact degree. See how expert leveling can make all the difference for your home. Don’t see your job on the list above? Get in touch with our leveling pros and inquire about your specific needs. We have worked on thousands of homes and businesses and have extensive experience in all types of leveling services. Why Makes Us Your Leveling Pro Partner? We are transparent and simple with communication — Our team is here to be your partner, not your contractor. We make ourselves available, respect your opinions, and mind your schedule no matter what. We provide unmatched attention to detail —We know every angle, every inch, and every nook and cranny of this job and it shows in our work every single time. We promise every detail will be completed to a T.
We offer one low price with no surprises —We don’t tack on hidden fees, over-inflate price tags, or haggle up. When you work with us you will know exactly what you are paying, it’s as simple as that. Ready to take the next step toward leveling your floors, countertops or exterior surfaces? Get in touch with our experienced team today to see how we can make your surfaces angle-perfect today for a low, reasonable price.